Possibility to spend the night at New Delhi airport (DEL), if open 24 hours. Services available, places to rest (free resting zones), or look for the list of nearby hotels and vip lounges..
New Delhi airport has modern facilities and it is constantly busy, so it is best to have headphones or earplugs. Where to rest: The best place is Terminal 3, where you will find many seats with no armrests and carpeted floors. In particular, there are comfortable couches in the shopping area. 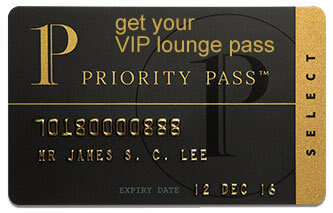 There are also several VIP lounges, some of which are open 24 hours a day. SEE VIP LOUNGES Inside Terminal 3, finally, there is a hotel and private cabins. Baggage: Left luggage service available only in Terminal 3. Eating and drinking: There are some options that remain open during the night throughout the enclosure. Restrooms: Showers open to the public in the Arrivals area of Terminal 3. Other services available around the clock: ATMs, children's playground, pharmacies, baby changing facilities. On the fifth floor of Terminal 3 is found the Holiday Inn Express New Delhi International Airport T3 (Tel +91 114 525 2000), while in front of gate 17 there are private pods from Sam's Snooze At My Space (Tel +91 880 044 4132). There are other alternatives nearby, among them: Ibis New Delhi Aerocity (Tel +91 114 302 0202), Hotel Delhi Aerocity (Tel +91 114 219 8498), Centaur Hotel (Tel +91 112 565 2223), Vivanta by Taj Dwarka (Tel +91 116 600 3000), Radisson Blu Plaza Delhi Airport (Tel +91 112 677 9191), Roseate House (Tel +91 117 155 8800), Lemon Tree Premier Delhi Aerocity (Tel +91 114 423 2323), Red Fox Hotel Delhi Airport (Tel +91 114 523 2323).